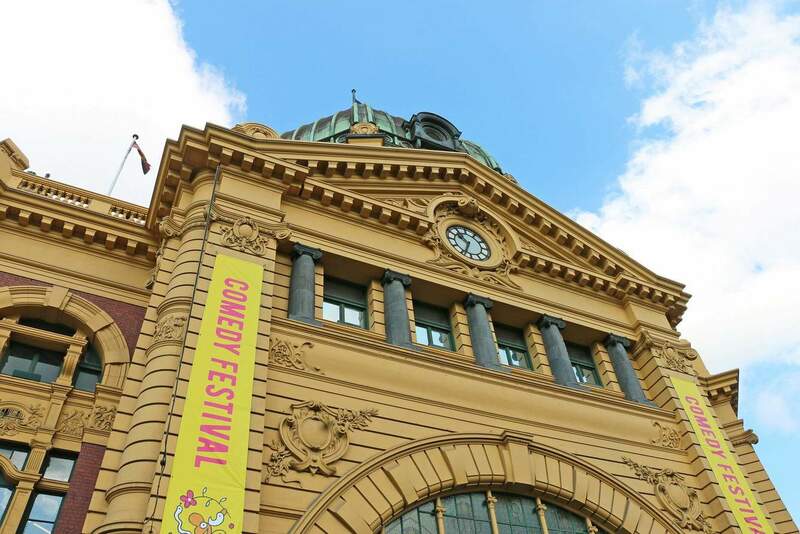 If you love stand-up comedy or just like to laugh, come to the Melbourne International Comedy Festival to witness the largest comedy festival in Australia and the third-largest festival in the world. Melbourne has hosted the event since 1987, and it runs for 3.5 weeks each year – beginning at the end of March and running into April. This annual festival is one of the most and popular events on Melbourne’s event calendar. Live shows are held at a number of comedy clubs, pubs and bars throughout the CBD, with some shows also held in the suburbs just outside the city. The iconic Melbourne Town Hall is the major host of the event and has served as the festival hub for more nearly three decades. 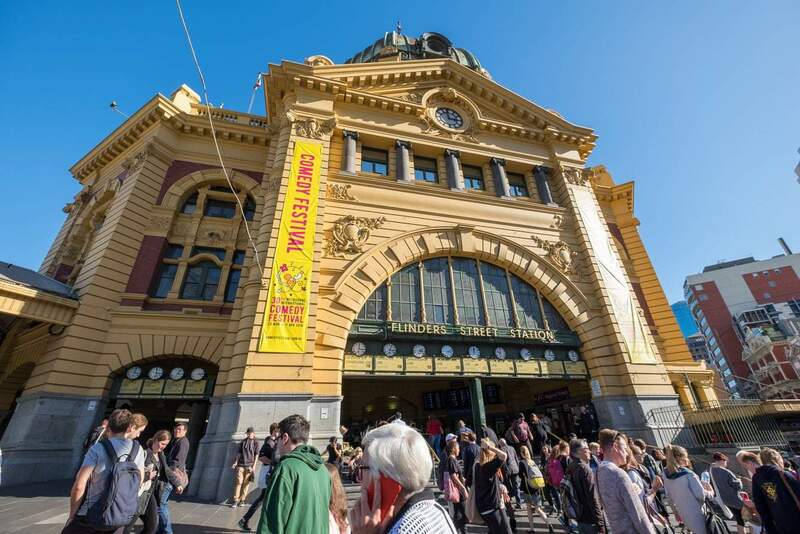 The Melbourne International Comedy Festival hosts hundreds of shows throughout its run, with the list growing each year – now at over 500 shows. The Comedy Festival includes award-winning performances by famous comedians, debates, comedy performances and an opening night comedy gala. In previous years, there have been a number of headliners and seasoned regulars including Stephen K Amos, Akmal, Wil Anderson, Rich Hall, David O’Doherty, Arj Barker, Ross Noble, Paul Foot, Tom Green, Celia Pacquola, Hannah Gadsby, Joel Creasey, Judith Lucy, Matt Okine, Tom Gleeson, Peter Helliar, Sarah Kendall, Dave Thornton, Dave Hughes, Carl Barron, Charlie Pickering, Fiona O’Loughlin, Felicity Ward and Lawrence Mooney – just to name a few. The Melbourne International Comedy Festival Gala for Oxfam is typically held in March at the Regent Theatre. The Comedy Festival kicks off after that and runs through March and part of April. So if you love live comedy, come and experience this exciting event with the many thousands of others who flock to comedy shows all over Melbourne. Please see below for the main headliners of the festival and key events. Prices will vary according to each show, the day of the week and seating selection. 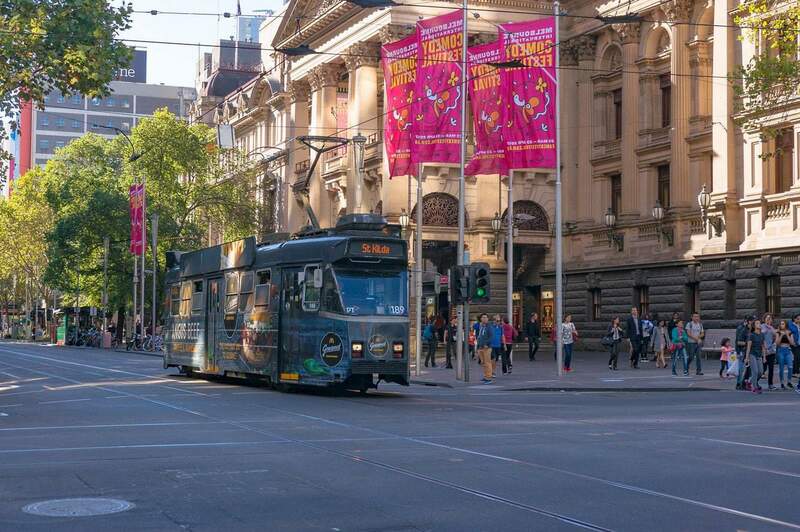 Earlier this year we were in Melbourne for the festival and we noticed that a venue we were in were offering a pub crawl around various venues taking in some comedy acts. Where can I get some information about this please? I’ve done some Googling and found this pub crawl Facebook page. Not sure if this is the one you are after, but I guess many of them will have the same vibe travelling around the pubs in the CBD! Thanks Jess, I also found them and sent them a message for them to tell me that all info would be on the Comedy Festival website. I have sent them another message as there is nothing on the website as yet. Cheers for looking and trying to help. We are 2 women living in Perth wanting to go to some of the shows at the 2018 Melbourne International Comedy Festival. How do we obtain a program and how do we buy tickets? I suggest you sign up for the Melbourne International Comedy Festival newsletter herer which will email you once the program is available and will give you ticket sale dates. Typically, tickets wont go on sale until early 2018. Does anyone know what date the 2018 comedy festival gala is on? Thanks. The Comedy Festival will run between 28 March – 22 April 2018. However, not sure at this stage if 28 March is the Gala date, or the first date of the main program which typically runs for 3 weeks. Check back with me and I will update our page once more information is released. I want to bring my grandchildren to Melbourne from Geelong tomorrow to see Mano a Mano which is supposedly in the Federation Square Bowl. Two questions: Where is the bowl? What if it is raining as they are outside and acrobats/tight rope walkers? It will be up to the performers as to whether they choose to perform in the rain, I would assume that if they feel it is still safe to do so, the show will go on! The show is free for spectactors and starts at 12pm. The rain forecast indicates that it might be mostly afternoon showers in the city. So you might make it in and out before the rain starts. The location of the Federation Square Bowl isn’t indicated on their official map, however I believe it is around the E11 & E12 areas on this map. When are tickets released for the gala? The organisers have said “late 2016” at the moment. They further state “The best way to get tickets for future years is to join our mailing list to be the first to find out exactly when and where the Gala goes on sale.” You can join the mailing list here. The Gala is the opening event which will take place on 22nd of March. The full program of the Comedy Festival kicks off the week after on the 29th of March. There is no gala at the end of the festival. I want to book this for my stepdad and mum but I don’t know the costs for it. I wanted to book it as a Christmas present to them but I’m not sure if you have to get tickets or not. Tickets vary according to the comedian you choose to see. Some up and coming comedians only cost between $10-$20 and more established and well known comedians sell for between $30-$70. Many comedians sell out, so it is best to get in early and book your tickets online in advance. All tickets are not yet on sale and wont be until around January next year. You can however purchase a gift voucher from Ticketmaster here for $20, $50 or $100 which can be redeemed for a ticket to a show of their choice. Hi, I am keen to attend the Gala night for the Melbourne International Comedy Festival in 2017. I am after a price on a room for my wife and I. Do you include admission price as well? 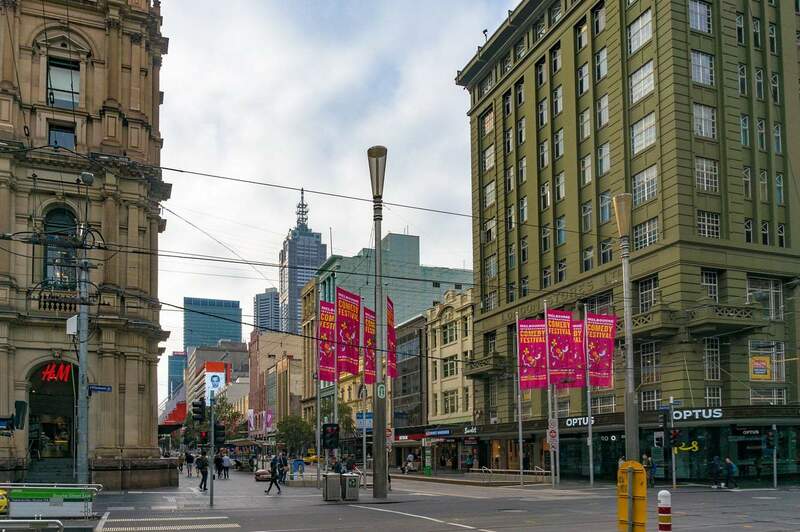 There are some great hotel options that are right near the Melbourne Town Hall. Once you know your dates, enter them into this link here and you can filter by location, price or rating. Unfortunately we aren’t selling packages which include the Gala tickets, but tickets to the Gala will be on sale in around February 2017. You can buy them direct from the Melbourne International Comedy Festival page here. Hi, How do we apply for performers in 2017 festival? Good luck with your show for 2017!